Riddle Cemetery is located on the slope of Mount Isaac to the west of Riddle, Oregon. 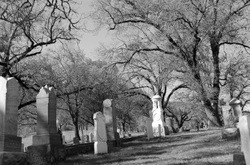 It was started in 1855 and is the final resting place of the early settlers of lower cow creek valley including William H. Riddle and John Catching who first settled there in 1851. The investigation started around 9:00 pm. I split the group into three different teams. 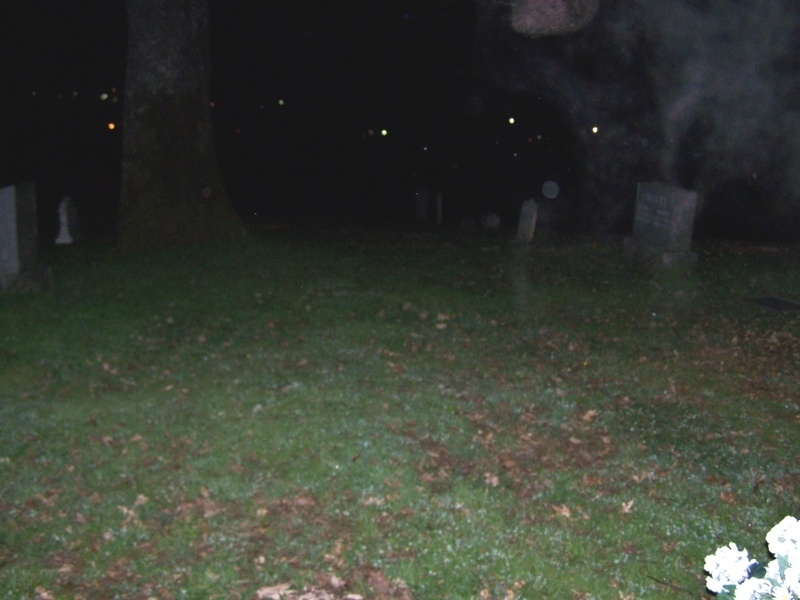 The first team took the upper part of the cemetery, the second team took the bottom half of the cemetery, and my team took the top of the hill by the cemetery where one of our member saw the residual imprint earlier that day. As the night went on, the teams started to experience paranormal activity. Andrea, Dewayne, Denise, and Andy where experiencing a child's presence around them durning the their EVP session. 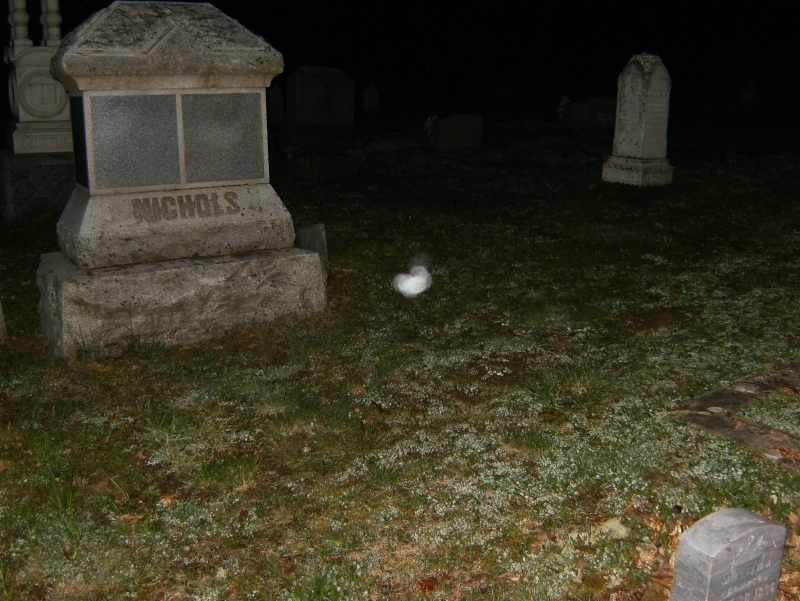 During the last hour, all three teams got together and conducted an EVP session. A couple of the members heard laughing coming from around us. I heard several voices coming over the parabolic dish as well. The investigation was a success and everyone had a great time.